The Ignite UI for Angular Navigation Drawer component is a side navigation container. In this post, we will work with Ignite UI Navigation Drawer and Angular Routings. See the official documentation for Ignite UI Navigation Drawer here. This article will help you add Ignite UI for Angular Navigation Drawer to your existing project. 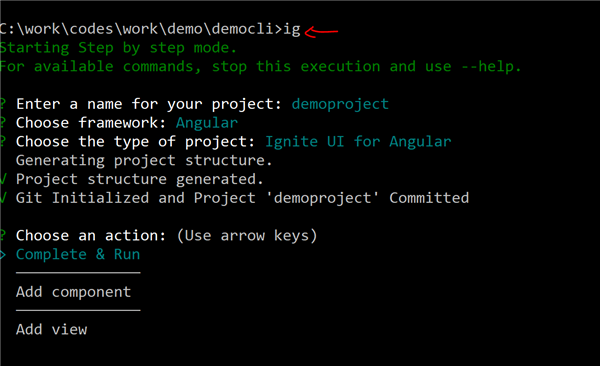 However, if you are starting with a new project, you do not have to follow all these steps and use Ignite UI CLI, you can achieve all this in 3 simple commands. Before we go into a step-by-step explanation, let us see how we can work with Ignite UI Navigation Drawer and Angular Routing using Ignite UI CLI. Type of project: choose Ignite UI for Angular to work with native Ignite UI for Angular components. Another option is Ignite UI for Angular wrappers which is a jQuery-based library. Ignite UI for Angular navigation drawer. Ignite UI for Angular Carousel. So, creating an application like above is as easy as that. If you are working with an existing project and wish to add Ignite UI for Angular navigation drawer, read on. Additionally, there is a file called app-routing.module.ts in the project for the routing module. Other components are the same as ProductComponent. In this step, we will create routing to navigate from one component to another component in our application. It is a simple Angular route with path, component, and data properties set to some values. I would like to draw your attention to the data text property of the route. We will use this as the value of the navigation links in Ignite UI for Angular drawer. We have created routes and components. In this step, add those in the main application module. For that import route module and component, pass the route module as one of the values of the imports array and components as one of the values of declaration array. I have also imported BrowserAnimationModule. You need it to work with Ignite UI for Angular components and directives. In this step, we will configure Ignite UI Navigation Drawer to use the Angular routes we created in Step 2. Let us start by importing the following into AppComponent. We have imported NavigationStart and Router from the router module to iterate through the routes and push a navigation link. In addition, we have imported ViewChild so that we can read IgxNavigationDrawerComponent as ViewChild and call its events, methods, and properties in the component class. A property to hold navigation links. A ViewChild property for Ignite UI navigation drawer. We are using various directives such as igxLayout, igxDrawerItem, igxRipple to create the drawer. Besides directives, we are using components such as igx-nav-drawer and igx-navbar. You can read more about them in the official documentation here. You can see that we are iterating routes and then adding the router link and router name to the drawer. You can navigate between components by clicking on header items in the drawer. In this post, we learned about using Ignite UI for Angular Navigation drawer in existing Angular project. We also saw how easy it is to create applications using use Ignite UI CLI. If you like this post, please share it. 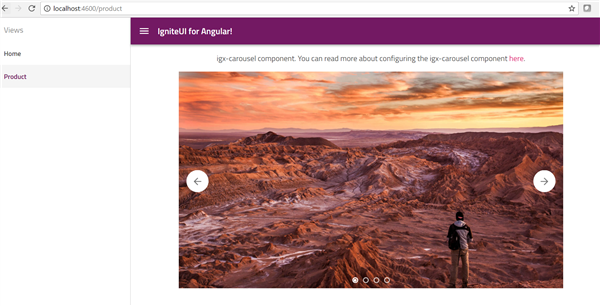 In addition, if you haven't checked out Infragistics Ignite UI for Angular Components, be sure to do so! They've got 30+ material based Angular components to help you code speedy web apps faster.